Ahbi, Tanu, Alia, Raj and other Kumkum Bhagya stars are in Ghana to spend some time with their millions of fans in Ghana. They were brought into Ghana by Multimedia’s Adom TV, the same station that airs Kumkum Bhagya TV show. After receiving a rousing welcome from Ghanaians who are die-hard fans of the Kumkum Bhagya show, the Kumkum Bhagya stars had some media interviews where they expressed their gratitude to Ghanaians for falling in love with their show. But the peak of their visit was when they together with renown musicians thrilled fans at the Accra sports stadium with exciting performances. 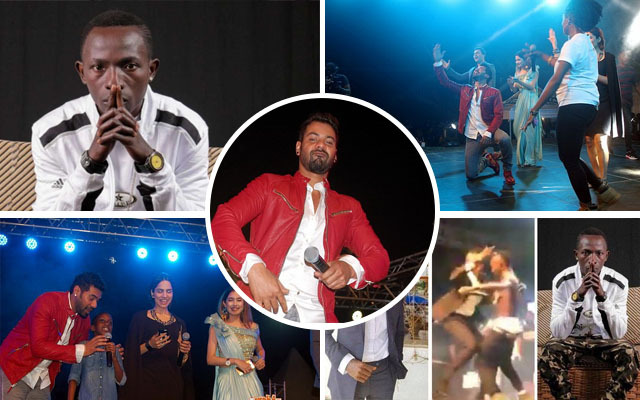 When Kwadwo Nknsah Lilin mounted the stage and started performing One Corner, The Kumkum Bhagya stars couldn’t resist but give Ghanaians some “One Corner Dance”. It was just hilarious. They will be repeating the performance in Kumasi and Tamale.